Properties in Stonebeck Down average 4.8 out of 5 stars. Property 15: Visit the beautiful Yorkshire Dales - walking, relaxing,swimming, barbecuing. 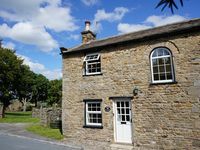 Property 25: Fell Beck is a beautiful holiday cottage located in Yorkshire with amazing views. The Old Chapel, Buckden, The Yorkshire Dales. Pets welcome. Garage and garden. Property 28: The Old Chapel, Buckden, The Yorkshire Dales. Pets welcome. Garage and garden. The host was very attentive. A great cottage, very clean with every need filled. With very good info and very helpful. We will definitely be back.